Shows: Doom Patrol, The World's Greatest Super Friends, Justice League. 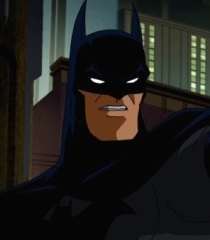 Movies: Justice League: Doom, Justice League: The Flashpoint Paradox, Justice League: War. Games: Infinite Crisis, Young Justice: Legacy, LEGO DC Super-Villains. Shorts: Doom Patrol, DC Showcase: Jonah Hex, Metal Men.